The Dake manual cold saws are ruggedly built, carry a full year warranty, suitable for ferrous and non-ferrous applications. Coolant pump with flow control adjustment. 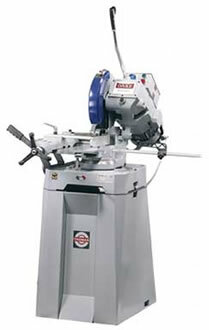 350 model features an adjustable clutch for more efficient operation, and will rotate to 90º for slot cutting operations.